Infographics is a data sheet which is compiled usually after researching specific topics. This is an easy guide for everyone which will help you to create infographics absolutely free. You don’t have to pay for any application, nor do any website. You should Visually (visual.ly) to create infographics. It is one of the top web app of its category. It allows you to build infographics based on your data on twitter, or on facebook which is pretty handy and shortcut. Well, the infographics generated through visual.ly aren’t that much informative, and can be used for personal use but you can also create manual infographics too. What you need is the data and time to put it on the infographics. The infographics generated using visual.ly are professional and have clean graphic interfaces, attractive. If you want to make interactive and well designed infographics, then Visually is one of the best option for you. 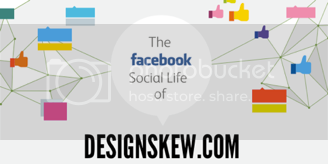 With some few clicks, you can generate infographics easily through your social profiles, twitter and facebook. All you social statistics will show up in the infographics, like if you are generating from your twitter profile, you would see in your infographics your followers number, number of tweets you have done, number of mentions you have got, the time you tweet the most and much more data. Similarly with facebook, and it also gathers facebook pages data to present on the infographics.